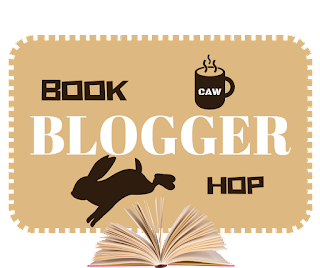 Book Blogger Hop's purpose is to give bloggers a chance to discover and follow other blogs, learn about new books, befriend bloggers, and gain followers. 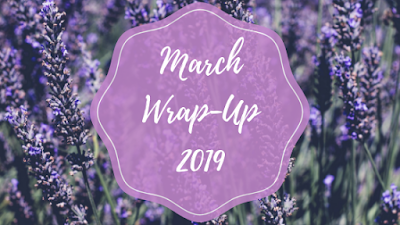 Each week the hop will start on a Friday and end on Thursday where there will be a weekly prompt following a bookish question. Top Ten Tuesday was created by The Broke and the Bookish but is currently being run by That Artsy Reader Girl. A prompt is given each week, and I hope to do it every week so I always have something going up on Tuesdays. 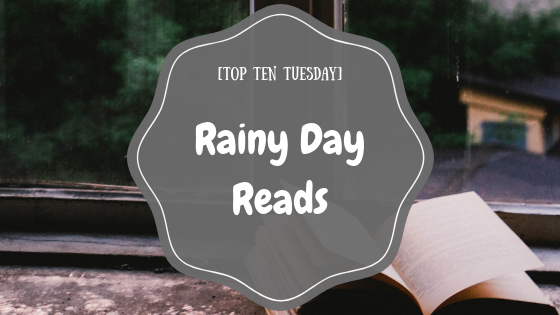 This week I am talking about ten of my favorite rainy day reads! Personally, I think reading while it's raining is the perfect way to read so all books are rainy day reads. However, there are ones in particular I think are the best to read when it's raining outside and these are ten of the ones I could think of! I recently watched the current available seasons of an anime titled My Hero Academia, a show I have easily fallen in love with. It probably won't be until Autumn until the next season, so until then I want to try to read all of the manga that has been published and the chapters that haven't been bound yet into volumes. I plan on reviewing them in collections of three volumes so I don't have like twenty posts on My Hero Academia alone. Once I pass the volumes and I am forced to read the chapters on their own online I'll probably review thirty at a time (it varies by volume but they typically do about ten a chapter, give or take). To avoid spoiling anyone, I am going to always have this opening in each post along with in future posts I'll have a link to previous reviews. In a world where people with superpowers (known as Quirks) are the norm, Izuku Midoriya has dreams of one day becoming a Hero, despite being bullied by his classmates for not having a Quirk. After being the only one to try and save his childhood friend Katsuki Bakugou from a villain, All Might, the world's greatest Hero, bestows upon him his own Quirk "One For All". The story follows Izuku's entrance into U.A. High School, a school that cultivates the next generation of superheroes. 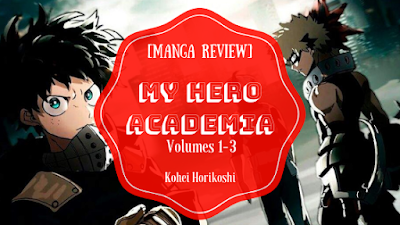 As Izuku and his new friends try to balance their Hero training with ordinary school duties, they must face new challenges including the League of Villains, an evil organization established by All Might's archenemy, All For One, to destroy all Heroes and take control of society. 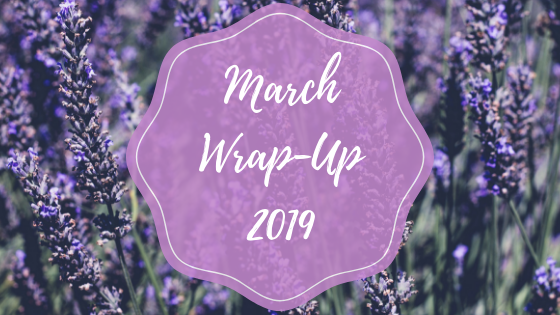 March has ended so now it's time to reflect on my month! I will list my book reviews, other blog posts, movies, tv shows, life updates, music, and plans for the next month. I will of course link any reviews and anything non-bookish (which means I don't have a review) I will write a few sentences of my general thoughts! This is the year I plan on reading books I either on my shelves or on my kindle that I really need to get to. I also need to tackle finishing a lot of series I have started in the past. She/Her. Woman. 27. Gryffindor. Bi/Demi. INFJ. Book Blogger. Intersectional Feminist. Reader. Writer. Fiancèe. Poodle Lover. 3 Stars: It was okay. 1.5 Stars: Really didn't like it. My name is Heather and my pronouns are she/her and I am a Bisexual/Demisexual woman. I am 27, a proud Gryffindor, and an INFJ on the Myers-Briggs Test. 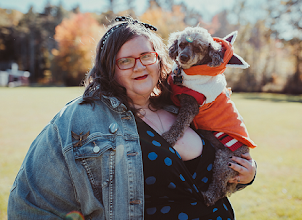 I am a Intersectional Feminist and Fat Positive Activist. I don't tolerate rude or nasty comments and they'll be deleted quickly without any response. I'm always up for a good discussion as long as everyone's civil.